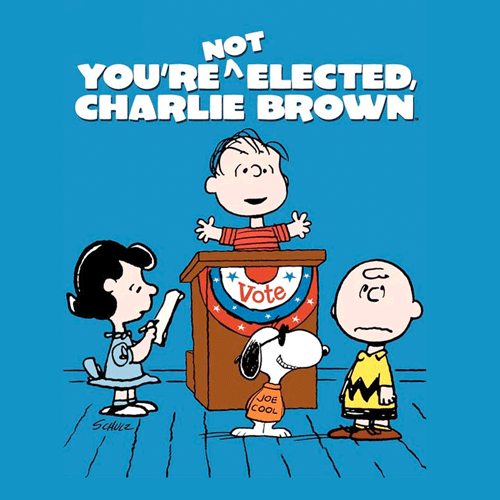 With Tuesday being Election Day here in the United States, I'm happy to share audio from another Peanuts special, You're Not Elected, Charlie Brown. 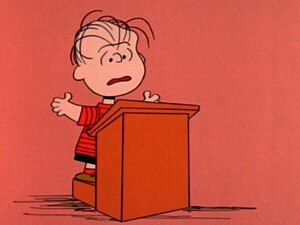 1972's "You're Not Elected, Charlie Brown"
This episode debuted on CBS on October 29, 1972. Unlike the "classic 3" Peanuts television specials (Halloween, Thanksgiving, Christmas), this episode features different voice talent and a distinctly 1970s vibe. As such, I think it's missing a bit of "heart" when compared to the more popular specials. 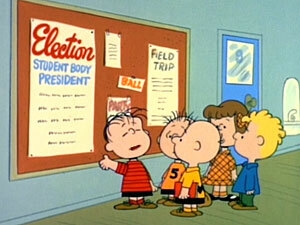 The plotline focuses on Linus running for student body president at his school. During his campaign, he mentions the Great Pumpkin… and I'll let you figure out what happens after that. Because of that topic, this episode is often aired with the classic Great Pumpkin Halloween episode. It's was bundled with the Halloween special on 2000 DVD release. Later, in 2008, You're Not Elected received its own DVD release as the featured title. Unlike the previously-shared "made for LP" version of a TV special, this is just the audio from the show itself, so some of the scenes that are visually-based might not translate well. But hey, it's Peanuts and it's Election Day, so why not! As a special Election Week feature, you can download this audio in MP3 format… but once the ballots are all counted, it's gone. Enjoy!